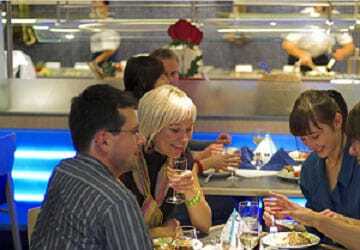 Onboard the Stena Scandinavica there is something for everyone. There's an à la carte restaurant, the Food City buffet restaurant, a large shop, a cinema, several bars, a casino, special conference rooms with lounge and bar, a night club and numerous fun activities for children are organised during the peak season. 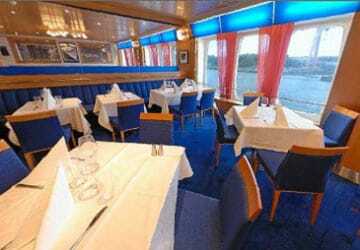 The Stena Scandinavica (like her sister ship the Stena Germanica) has an elaborate choice of cabins ranging from a standard inside cabin to a luxury suite with a stunning views of the sea. 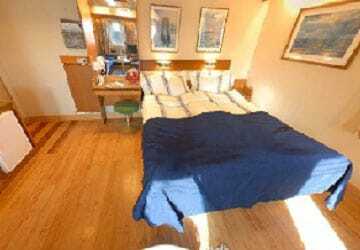 All cabins are ensuite with bed linen and towels provided. Cabins are also fitted with DUX mattresses for the best sleeping comfort to ensure you arrive well rested. You'll find a relaxed atmosphere and a wonderful menu at the Metropolitan à la carte restaurant. If self service is more to your liking then 'Taste' features an elaborate Scandinavian buffet with herring, salmon, fresh salads, cold meat, warm dishes, a selection of cheeses and several desserts amongst other things on offer. Stena Scandinavica has no shortage of bars. In the 'Metropolitan Bar' you can relax and enjoy the great atmosphere with a choice of alcoholic beverages, beers, wines, fresh coffee and snacks on offer. The stylish 'Riva bar' is the place to be for wine lovers with a selection of 50 wines on offer. The Albatros conference lounge and bar is open for everyone. Serving beer, wine, rolls, coffee and pastry, you can read, play a card game or just rest. 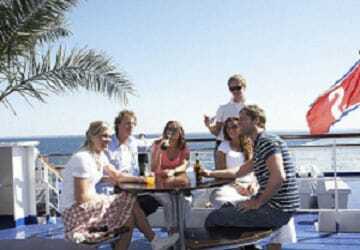 Provided the weather is good, the Sun deck bar should not be missed. Enjoy the wide sea view and watch the sun set slowly behind the horizon with a cold drink in your hand. 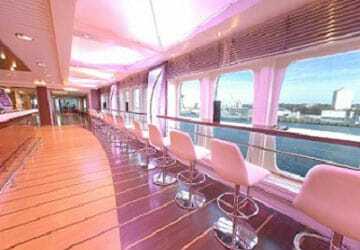 The onboard experience is completed by the C-View night club (open in peak season and during theme night evenings) which promises a night full of festivities and glamour. 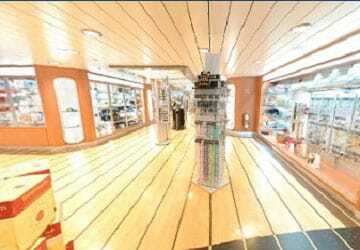 The onboard shop offers everything from perfume, make-up and skin care products to jewellery, sun glasses, crystal and souvenirs. The casino features roulette and black jack tables, all the latest films are available in the cinema and you can surf the internet from the onboard wifi or the internet terminals. 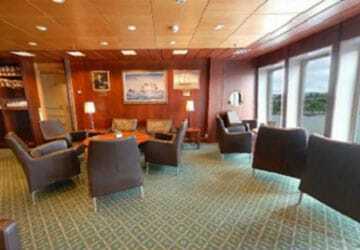 The Stena Scandinavica has a childrens play area. 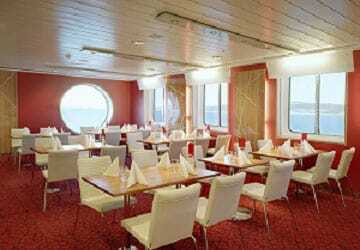 The ship has special cabins adapted for disabled passengers. Please Note: Whilst we have taken great care in making our Stena Scandinavica guide as accurate as possible, onboard facilities, services and entertainment may vary depending on the date and time of year that you travel, facilities mentioned may change without notification and ferry companies reserve the right to operate vessels other than those mentioned at time of booking without prior notification. 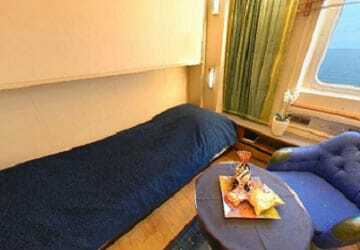 "Sweden to Germany - relaxing way to travel"
Beautiful views, smooth journey and comfortable bed. The food in the buffet was delicious. We would do this trip again. "night ferry G to K on 19/7"
"Nice transportation to the continent"
If you are going to bring the car to Germany there is only one way to do this. 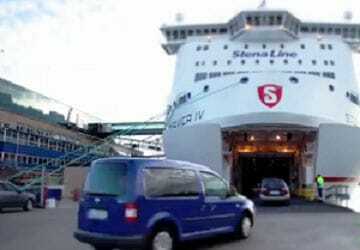 Take the Stena Line ferry from Gothenburg to Kiel. Easy embarking, even easier check-in. You are met by staff and crew at all serving places. The amenities on board are impecable. 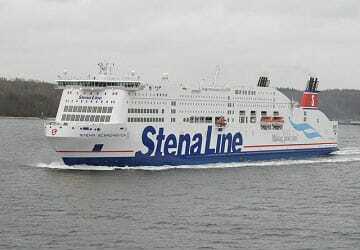 On time departuers and good service makes Stena Line a winner. I have no reservations regarding this journey. Everything went according to plan. I can truthfully recommend Stena Line travel. "Nice trip. 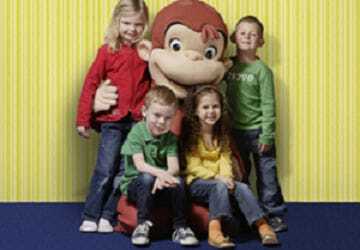 Very good service!" Quiet sailing, nice atmosphere, nice amenities and not too much partying and drinking. We left a few toys behind and the staff sent them to us without cost. Fantastic service! "great alternative way of getting to Germany"
We found this being a great way to get to Germany during the night so that we could sleep and start our journey the morning after well rested. Nice trip. 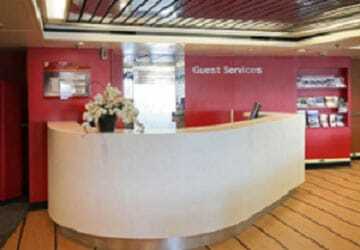 This was a good experience, the ship was on time, clean, comfortable & friendly. The food was great, steak I had was first rate as was the buffet breakfast. I was traveling with a car & caravan it was all good but I think the price was too high. "paying for purchases aboard the ferry"
Overall, we are satisfied with our crossing like we were last year. 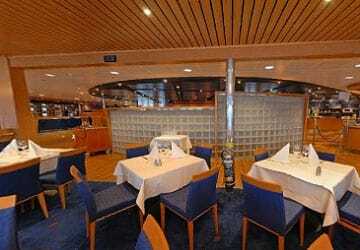 However, why can we only pay meals on board in euros during the crossing between Gotenborg and Kiel? No surprises and all went without a problem. Ferry was clean and comfortable. Cabin average but good enough. A crossing to recommend. During the outward journey we slept in a nice cabin, but loud noises kept our whole family up all night long. Aside from that everything was tidy and cared for. "Trip with a camper and 2 adults from Borlänge"
Very enjoyable crossing and it was nice to have the opportunity to rest instead of driving. Was well rested by arrival time and able to continue down through Germany.